Avicenna (980–1037) was a Persian physician and commentator on Aristotle. He was born near Bukhara, which was then the capital of the Samanid dynasty (located in present-day Uzbekistan). By the age of 10, he had mastery of the Qu’ran and Arabic grammar and literature. By 16, he was highly knowledgeable about natural science, metaphysics, and theories of medicine. He also treated the sick and helped the Samanid prince Nuh Ibn Mansur (976–997). His reward for that was access to the prince’s library. Avicenna became an expert on the writings of Aristotle, wrote extensive commentaries, and also produced many treatises of his own on science, religion, and philosophy. 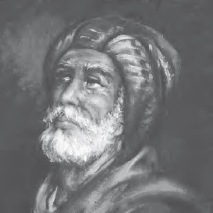 His medical encyclopedia, Al-Shifa (The Healing) was based on Aristotle’s work, and his Al Qanun fi Tibb (The Canon of Medicine), written when he was 21, became famous throughout the Middle East and Europe. As an Aristotelian interpreter, he was well known for claiming that the universality of our ideas is a product of the mind. He was not a complete nominalist about universals, however, because he thought that there were differences and similarities among things of the same kind, which existed independently of thought. The products of thought were the formal qualities of things. This doctrine, known as intellectus in formis agit universalitatem, neatly corresponded with Aristotle’s claim that scientific knowledge consisted in truths about forms or essences. However, although Avicenna’s interpretation of Aristotle seemed to be rather staid and unoriginal, his claim that it could be reconciled with Islam was soon challenged by al-Gazali (1058–1111); and in the generation after that it was radically revised, along with al-Gazali’s objections, by Averroës (c. 1126–c. 1198). The Persian philosopher Avicenna was an erudite commentator on the philosophy of Aristotle, among other talents (Art Archive).